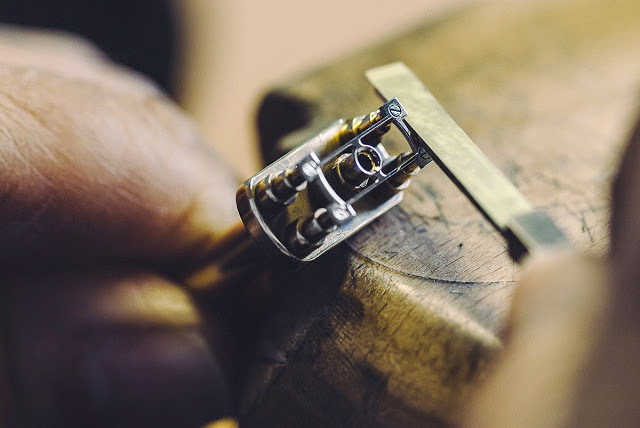 For Only Watch 2013, Chopard has created a unique LUC Tourbillon in platinum with gold movement bridges featuring a form of relief engraving native to Fleurier, known as Fleurisanne. 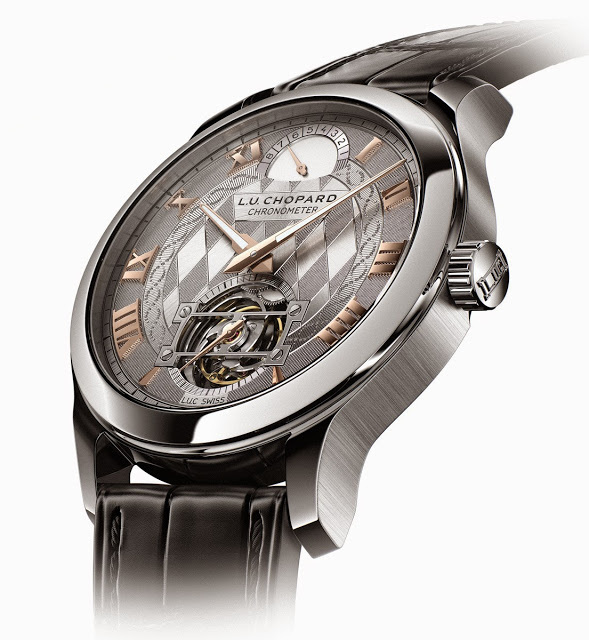 Chopard is once again supporting Only Watch, and for the 2013 event it has created a unique LUC Tourbillon. 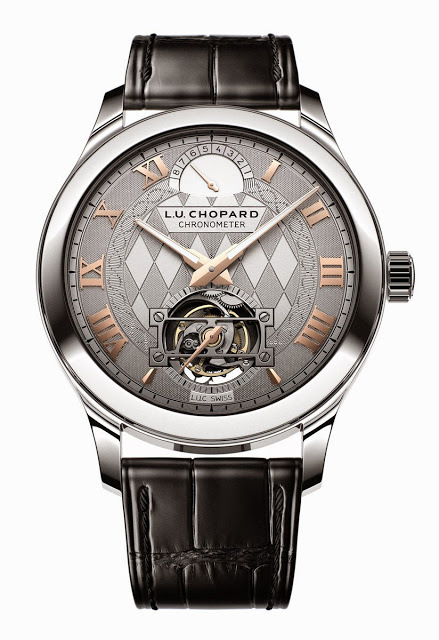 The Chopard LUC Tourbillon Only Watch 2013 has a hand-engraved, solid gold dial decorated with the coat of arms of Monaco in the centre, surrounded by the double helix of DNA; Monte Carlo is the venue of Only Watch, and the event is to raise funds for research into Duchenne muscular dystrophy. The engraved decor continues over on the back. Both the main plate and bridges of the movement are in solid rose gold, with a black coating on the frosted top surface for contrast. 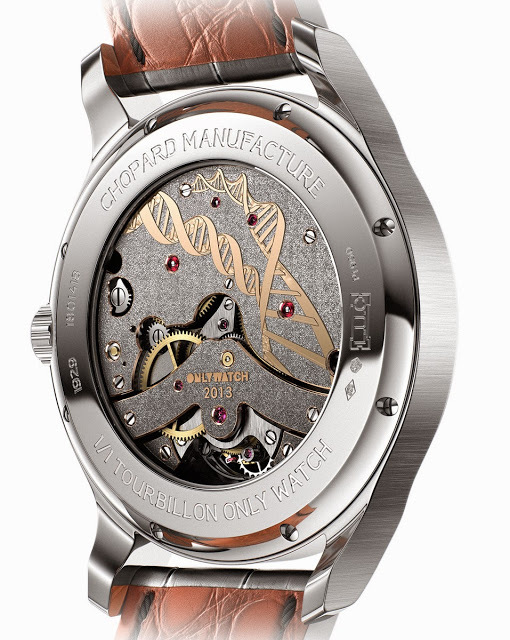 The main bridge of the movement is decorated with the DNA double helix, using a technique of relief engraving known as Fleurisanne engraving, characteristic of the village of Fleurier where Chopard manufactures its LUC watches. This technique involves removing material around the motif, so as to have it in relief. 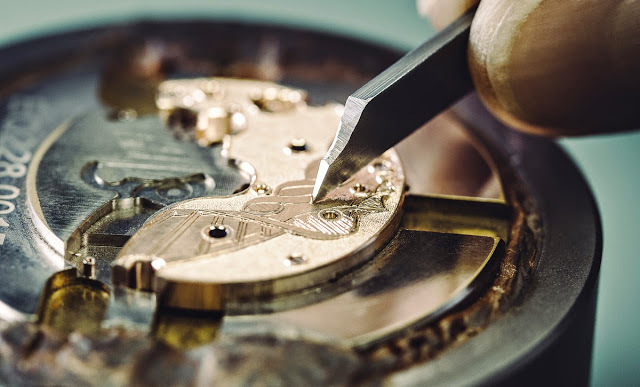 Executed in similar relief engraving is the “Only Watch 2013” logo.